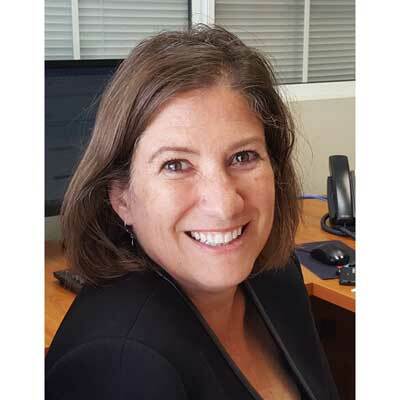 Julie Dzubay is Vice President of Sales Operations for WTG. Dzubay's responsibilities include managing WTG's sales organization and strategically driving Partner and Supplier relationships. She has been a member of both Baptie and TCA (Technology Channel Association), participates on Provider Advisory boards and Chaired the Mentoring Committee for Women in the Channel. Previously, Dzubay worked with Electric Lightwave/Integra Telecom as Director, Channel Sales Operations & Development. She was also Senior Director of Customer Retention as well as Director of Product & Market Development at Eschelon Telecom. She began her career in telecommunications in 1989 with Cable and Wireless and has held sales, management, product management, business development, market development, customer retention and sales operation roles during her career. Dzubay holds a B.A. in Psychology from the University of South Dakota and a Masters in Telecom from Saint Mary's University of Minnesota. WTG's previously had a centralized model for our sales division. In 2017 I launched a decentralized Regional Channel Management model for WTG, hiring resources located in the East, Central and West regions of the US to support the business efforts of our top Partners. The new model is exceeding growth projection models. WTG is looking forward to continuing to expand the Regional Channel Manager model to provide wider business support to our Partner community. I just hired and am onboarding a strategic resource to drive the elite sales strategies offered by some of our key Providers in 2018. I will continue to build out the Regional Channel Manager model in 2018 to widen the business support we are providing our Partner community. I have been awarded the CRN Channel Chief award for 2017 and 2018 for my role at WTG and in the industry. I was just elected to the Board at Informa because of my role at WTG and my volunteer efforts with Women in the Channel. New on my radar is Jenn Hyman. Her new business venture, Rent the Runway is a fantastic idea. I have seen interviews with Jenn several times now. The benefits of the business model she has launched continue to grow. I am inspired to attend a red carpet event just so I have a reason to rent a dress from her. Express the gratitude you have at all times. Often I am grateful for people... in my head. People don't know how you feel, you have to tell them. I find today that people don't realize how highly I think of them and the work they do because I am not expressing my thoughts and feelings to them. I wish I had years of experience working on my emotional IQ. No matter what other skills are lacking, when someone has a high emotional IQ, they are able to navigate any situations, especially the difficult ones. If I could snap my fingers to master my Emotional IQ, I would do so instantly! The Journey to Sales Transformation by Bob Nicols Jr. The reason this book was important to me this year is because I launched our Regional Channel Manager model. The key principles of the model I built were based on what I learned from this book. Also, the book was gifted to me by the author, whom I later realized I had crossed paths with 25 years earlier in my career.